When will be Oscars Opening Ceremony: Live from the Red Carpet next episode air date? 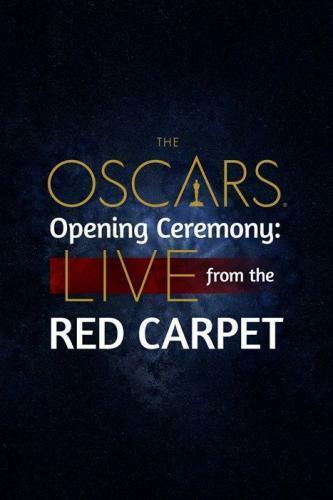 Is Oscars Opening Ceremony: Live from the Red Carpet renewed or cancelled? Where to countdown Oscars Opening Ceremony: Live from the Red Carpet air dates? Is Oscars Opening Ceremony: Live from the Red Carpet worth watching? "Oscars® Opening Ceremony: Live From The Red Carpet," the ultimate opening event and highly anticipated lead-in to the live telecast of the Oscars. This star-studded special features interviews with the nominees, presenters and performers arriving on the red carpet plus gives viewers an ultimate insiders' view of all the pre-show excitement. Roberts, Strahan and Spencer will be joined by special contributors Jess Cagle, editor-in-chief of People and editorial director, Time Inc. Style & Entertainment Group; Marie Claire's creative director and "Project Runway" judge, Nina Garcia; and Vanity Fair's West Coast executive editor, Krista Smith. The special features interviews with the nominees, presenters and performers arriving on the red carpet plus gives viewers an ultimate insiders' view of all the pre-show excitement. Oscars Opening Ceremony: Live from the Red Carpet next episode air date provides TVMaze for you. EpisoDate.com is your TV show guide to Countdown Oscars Opening Ceremony: Live from the Red Carpet Episode Air Dates and to stay in touch with Oscars Opening Ceremony: Live from the Red Carpet next episode Air Date and your others favorite TV Shows. Add the shows you like to a "Watchlist" and let the site take it from there.